Transform your idea into a profit-generating app and grow your business organically. 10+ years of experience perfecting our fast and cost-efficient approach to get to market, gain acceptance and succeed. Strategic Partnership, Guidance, Proven 7-Step Process, Leading Experts. 1. Submit your app idea. 2. Free consultation on starting app business. 3. Validate feasibility & profitability. 4. Create execution strategy & game plan. Copyright © 2019 Integral App Studio, LLC. All rights reserved. 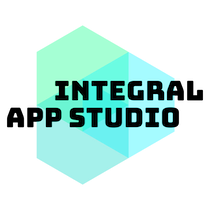 Integral App Studio is a development partner that provides solutions to the most innovative creatives, entrepreneurs and enterprises. Larkspur Landing, Marin County, CA.